I first stepped foot into a hot yoga class alongside my high school best friend, who “cross-trained” with yoga when she wasn’t dancing. I hated it. My balance wasn’t as good as hers, and I couldn’t see what people were doing when my head was down in many poses. Sweat dripped into my eyes and it stung, because I had accidentally worn sunscreen to an indoor yoga class. I tried yoga again after seeing what wonders it did for my sister’s scoliosis, but I didn’t stick with it for long. Suddenly, I was in college, motivating and steering a boat full of 18-22 year-old male rowers (I was a coxswain). We’d run hills in the morning and I pushed myself to keep up with the men…to the point of injury. That is when I delved into yoga on my own initiative. It hurt to run hills with the team, so I started swimming and taking yoga classes instead. I found teachers who crafted sequences and playlists that resonated with me. I started to heal and have fun at the same time. I could get back into more sports, and noticed I was less likely to get injured doing these things when I practiced yoga more often. Yoga was one of the only places where my mind was completely focused, and where vigor ultimately led to a meditative state. It wasn’t just peace. It was strength and smiles, and almost always that “ahhh” feeling. I often feel this way after taking class at Inner Fire Yoga. When I practice, I have a chance at attaining that total peace. I am fully focused on the present, to the sweet exclusion of everything else. 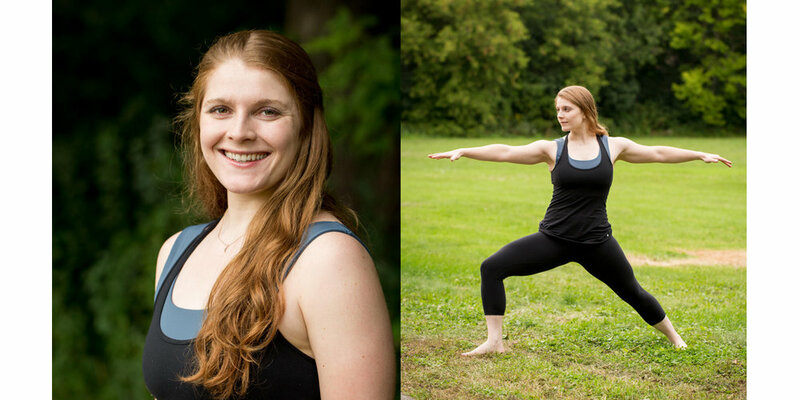 I wanted to help other people feel just as amazing, so the first thing I did after graduating from college was earn my 200 Hour Yoga Teacher Certification in a very alignment-based program. It was one of the best decisions I’ve ever made, and I’m so thrilled to bring my love for teaching and passion to Inner Fire Yoga! Peace is my mission, and don’t be surprised if you hear a little of my inner coxswain come out in the classes I teach!